Are you stuck in the Waiting Place but are not quite sure what the future may hold in store? 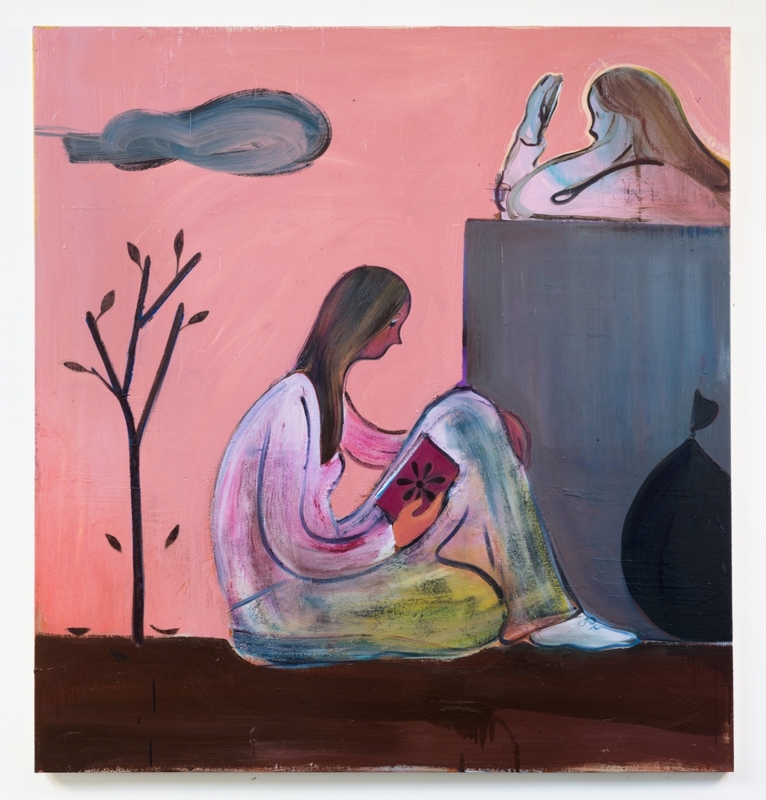 If this makes you feel uneasy, you may take some comfort in Heidi Hahn’s second solo exhibition at Jack Hanley, titled “The Future is Elsewhere (If it Breaks Your Heart).” Oh, the Places You'll Go! Hahn, for the exhibition, continues her investigation with traditional concerns in her figurative painting practices while creating environments of psychological landscapes in the female mind and body. 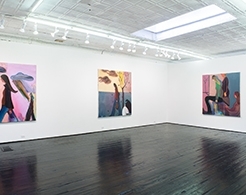 Her compositions presented, as well the materiality of the paint she uses in them, with its rich and translucent layers applied multiple times, enhance the depth of her works, thus, the females’ interior lives showcased in the finely-crafted narratives achieve vibrancy. The women showcased in this new body of works appear to be in transit, at times active or passive, either seen walking or waiting, sometimes reading or looking at their phone, all of them on the verge of their new destinations or chapters. The characters are in profile, conjuring up a hieroglyphic stance that makes the narrative of the story lapse in time. What the artist leaves unsaid is all about where these women are coming from or where they are off to, what they seem to be waiting for, or what caused them to be in the place where they are. These women are almost without any history or future, their situations uncertain and their background unconcerned. Hahn hides or leaves out details of the faces, manipulating them to be simplified into disguised masks, illuminating their anonymity. The characters' bodies, sinuous and fluid, assimilate to flat backgrounds that they have been portrayed upon. Hahn shapes her characters through distinctive and delimitative lines, and they appear to be entirely aware of their allocated parts in the society yet they manage to be unconcerned with any judgments and expectations. The introspective Heidi Hahn portrays with her new body of work, “The Future is Elsewhere (If it Breaks Your Heart)” of women on a voyage toward their respective futures, will be on view through November 12, 2017 at Jack Hanley Gallery, 327 Broome Street, New York.